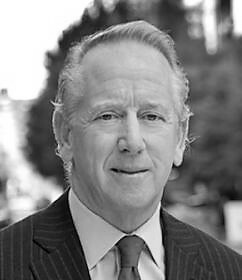 Archie Manning, Former Quarterback. Author. Community Sponsor. Leadership Speaker. When people think of Archie Manning, they think football. But Manning’s appeal transcends his athletic achievements. People far and wide have been inspired by his warm personality, his drive and sense of humor. He was recently selected Father of the Year by the National Father’s Day Council. He currently serves in public relations and consulting capacities for several local, regional and national companies, including Reebok, Gatorade, Direct TV and CBS Sports. For 25 years he hosted four Archie Manning Cystic Fibrosis benefit golf tournaments in Louisiana and Mississippi and is active in a wide variety of charitable and civic causes. Manning was born May 19, 1949, in Drew, Mississippi. He attended the University of Mississippi where he was named an All-American Quarterback and his number is retired. He was voted Mississippi’s Greatest All-Time Athlete in 1992, and was named Mississippi’s Most Popular Athlete of the Century. He was elected to the 50-Year All-South Team (1940-1990), named one of the Top 25 Athletes of the Century in Louisiana and he and his son Peyton were named among the 100 All-Time Greatest College Football Players. Manning was inducted into the National Football Foundation College Hall of Fame and is a member of other Halls of Fame including Louisiana and Mississippi. In 1971, Manning was the second player chosen in the NFL draft—the number one draft choice of the New Orleans Saints. He set Saints passing records, played in two Pro Bowls and was named the NFC Most Valuable Player in 1978. He was the first player in Saints history to be inducted into the Louisiana Superdome Wall of Fame. He concluded his 15-year career in 1985. He was also drafted four times by major league baseball. While in pro football, he received the Byron “Whizzer” White Humanitarian Award, the Bart Starr Humanitarian Award, the Spirit of Good Sports Award from the National Sportscasters and Sportswriters Association and the U.S. Jaycees named him one of 10 Outstanding Young Americans. In 2005, Manning received the Legends award from the Davey O’Brien Foundation and the Aspire award, a tribute to life’s coaches, from the Cal Ripken Foundation. Manning was honored by the United States Sports Academy with the 2006 Distinguished Service Award. Also, he recently received the Silver Buffalo, the Boy Scouts of America’s highest award. Manning and his wife Olivia were recipients of the National Pathfinder Award for their work in post-Hurricane Katrina. His community activities include Louisiana Special Olympics, the New Orleans Area Boy Scout Council, the Salvation Army, United Way Speakers Bureau, Allstate Sugar Bowl Committee and the New Orleans Sports Foundation, and he was recently named Chairman of the Board of the National Football Foundation. Manning and his wife reside in New Orleans and have three sons, Cooper, Peyton and Eli. They are the proud grandparents of three boys and three girls. Manning and Peyton wrote a book entitled Manning: A Father, His Sons and A Football Legacy. Peyton and Eli also wrote a children’s book entitled Family Huddle. Manning and his boys have operated the Manning Passing Academy, a summer camp for high school quarterbacks and receivers, for 17 years. Manning is an owner of Manning’s, a sports-themed restaurant on Fulton Street in New Orleans. In honor of the Mannings’ college football accomplishments, the Sugar Bowl has created the Manning Award to go to the nation’s best college quarterback.